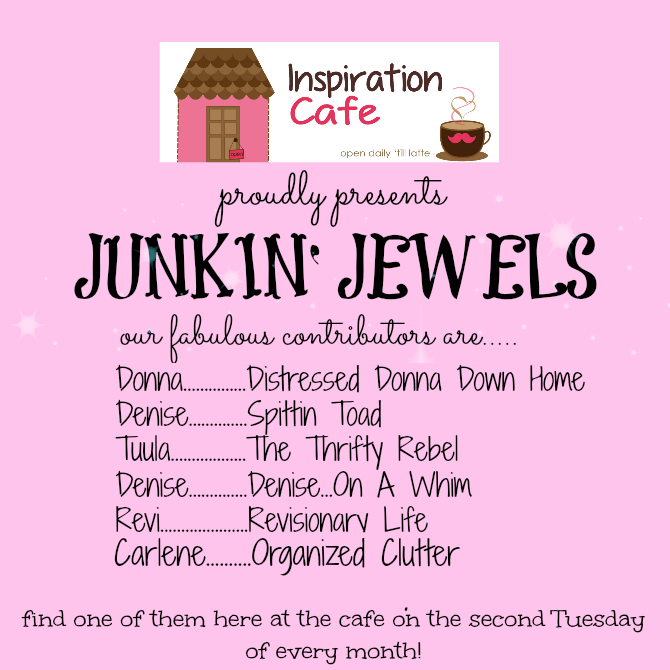 I am guest posting today at the Inspiration Cafe in the Junkin' Jewels Series. My project is a Bake King heart cake pan button mosaic. Click HERE to see how my heart turned out and how I did it! I am giving you an standing ovation for this post on Inspiration Cafe. I LOVE the heart mosaic. Clever and creative. Neat....very neat! Got to love that heart shaped pan and to make it more spectacular, you added the buttons and grout! Great way to create! Super fun Carlene! I'm going to check it out. Your heart mosaic turned out great. This was a killer project! Thank you for sharing it with us at the Inspiration Cafe! So clever Carlene ... looks so pretty.